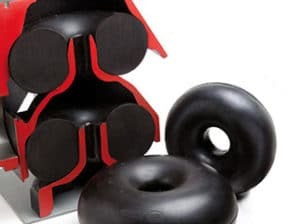 Our shock absorbers for rails are made from rubber. 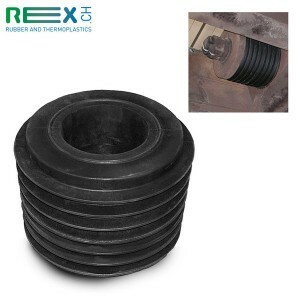 Special rubber ring springs that are used for low height wagons traveling on railways with small curvature radius. The special rubber ring absorbs the kinetic energy that the wagon is exposed to during operation. 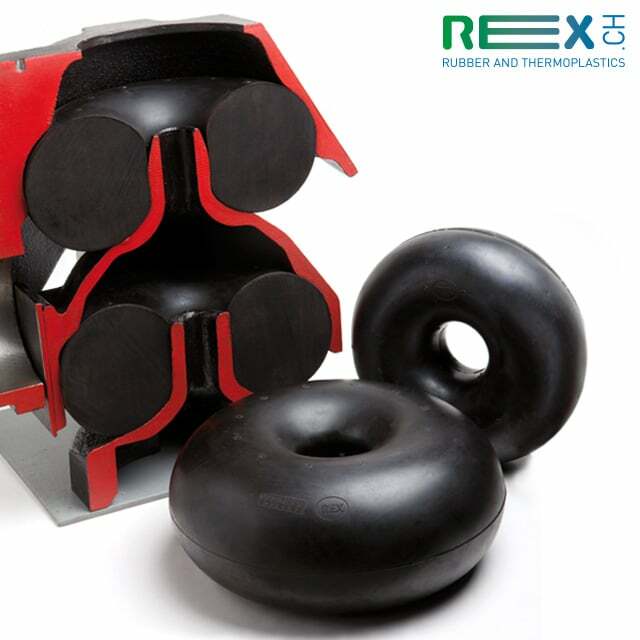 REX manufactures a wide variety of shock absorbers for rail from rubber. We provide extensive analysis, simulation and individualization for the needs of our clients. If you are involved in a rail project anywhere in the world, contact us and get more information about our products. 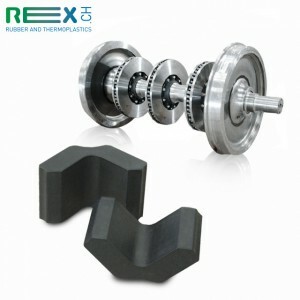 The shock absorbers of the wagon coupling are exposed to very high static and dynamic deformation. The practical tests are endorsed with external laboratory results and show good shock absorbing qualities as well as high durability. Our Shock Absorber for Rail Wheels is developed and designed to absorb the kinetic energy which the railway wheels are subjected to during operation. Our laboratory tests show good absorbing qualities and high durability.